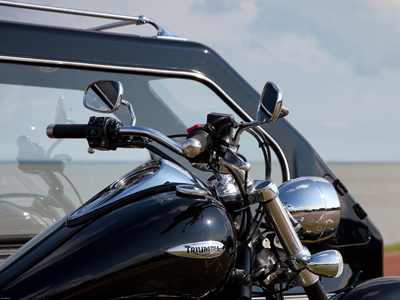 The Triumph Thunderbird is a traditional British twin, a 1600cc twin at that! 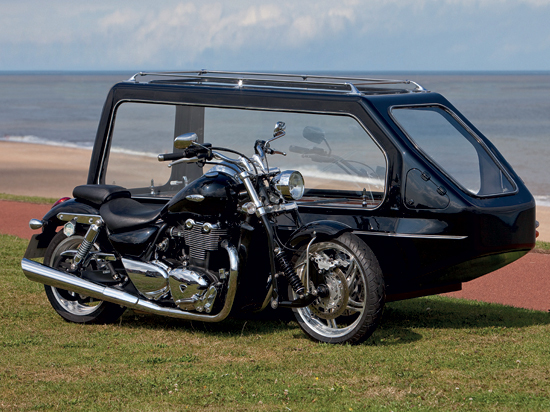 This bike is so powerful it may appeal to classic train enthusiasts! 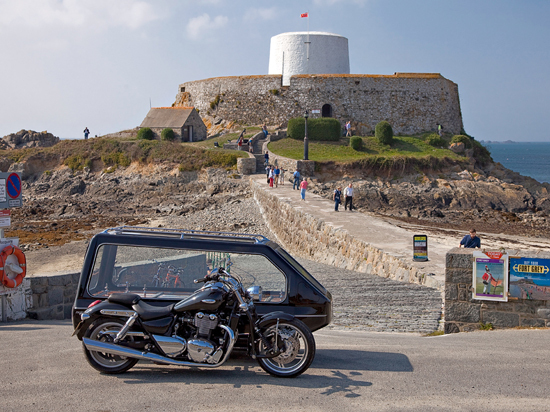 Built in Great Britain this outfit is fast proving popular with the largest range of people, from classic bike enthusiasts through to people who simply want something stunning, sensational and stylish. 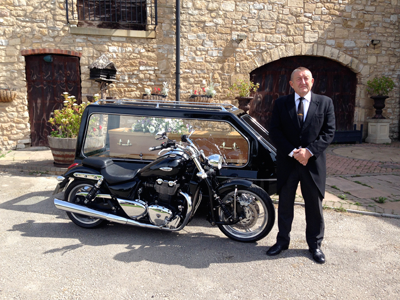 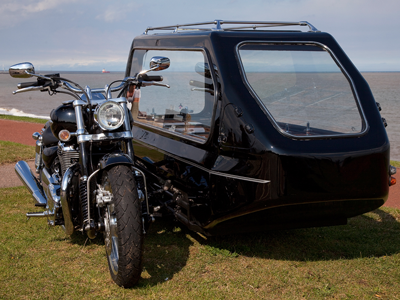 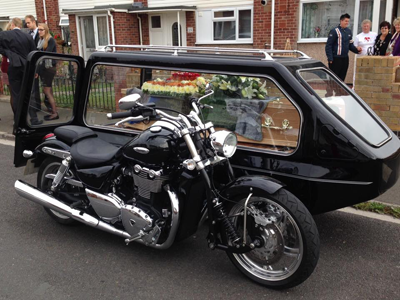 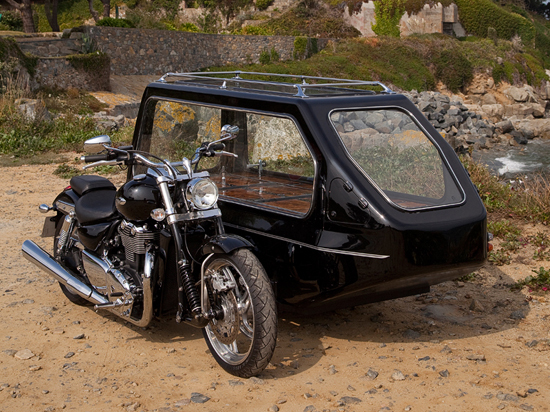 As with all British specification hearses and the rest of our fleet it has a pillion seat, flower rail, secure hearse fittings, internal temperature control, a glass roof to light up the coffin and flowers.